It is said there are Politically correct Jews and Biblically correct Jews. Those who are "Politically Correct" must keep changing. What was bizarre and unacceptable yesterday is the norm today, so one must adapt. What was normal yesterday is outrageous and racist today. The Politically Correct Person must be constantly alert lest he/she/It say a politically incorrect word and be dubbed a racist or homophoebe or whatever. We, the Biblically correct need not fear this. What was true yesterday is true today for there is nothing new under the sun. Truth is truth. Keep your soul pure and all answers shall come to you. Empty your heart of ego and conceit and you shall see clearly. Austria, late 1938 - 1939. The wealthy assimilated Jews no longer saw themselves as "Jews". They were Austrians. Nay! They were Viennese. They took the new gods of culture, art, paintings and music. They looked down upon the Ostjuden. the Jews from the East. In their haughtiness and arrogance they felt they were superior to the Polish Jews and the Russian Jews. They were Viennese, they were cultured. Sadly, Friday night instead of being in the synagogue was a time for musical concerts. The violin replaced the prayer book. But when this happens there is always a "correction". It came in the form of antisemitism, Nazism, Hitler (may he rot in Hell for eternity). The Viennese was suddenly reminded that he was indeed, after all, a Jew! To the Viennese Jew this came as a terrible shock. It was "difficult to comprehend". But to those who had immigrated from the east, things were clearer. The Ostjuden knew antisemitism; it was in their bread and butter. They knew the pogroms, they knew the hatred taught by the Church. They did not try to hide their Jewishness, they dressed as Jews, they spoke as Jews, without shame, with pride! When the Anschluss came, the Nazi invasion of Austria, the Ostjuden knew how to react. They were not caught by surprise as much as the Viennese. They knew that "it" was possible, they knew hatred, they knew the evil nature of man, for man is evil from his youth. They had no illusions and no false expectations. Soon enough entire Jewish communities would go up in smoke, literally, but to the cultured Jews of Vienna this was still not possible, it was "difficult to comprehend". This perhaps is our greatest problem today, our greatest obstacle in self defense, the mental part. Yes, we can imitate moves. I can a teach a child to do a gun disarm but there must be more. In our heads, in our souls, we must understand, we must comprehend. We must understand the evil in man's heart, we must understand what the Ostjuden understood: Evil sleeps beside us. Until it becomes comprehensible to us, until that reality dawns upon us and we get our streetwise diploma, all our techniques will be of little value. We must comprehend that which is difficult to comprehend. A man wishes to marry his heart's desire but her family in Vienna is not happy with him. He is a Polish Jew, Ostjuden. His father is "uncultured", wakes up early every morning to talk to God in the synagogue and spends his time studying Talmud. 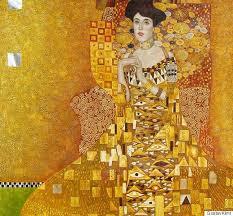 He does not know a Klimt from a Mozart but he knows God and he knows Truth. But when the trouble comes it is the Ostjude, the Polish Jew, who rescues the entire family. When the Nazis come he is already in England, always one step ahead of the Nazis. Yes, we must learn, do not see evil as "difficult to comprehended", we must comprehend, if we are to survive. A bit too much? Viennese Jewish woman, or Viennese of "Jewish descent". Like the blogs? Buy the books: Footsteps from Judea, volumes 1-4 on CreateSpace and Amazon.